No, this is not just another SBI! Review whipped up by some enthusiastic affiliate marketer hoping to make a quick buck. This site is only one of many that I have created using the SiteSell hosting service and Site Build It tools, and its the ONLY service I use nowadays! I love my SBI business in a box service that leaves nothing out and instead over-delivers! It has been a big learning curve, and like most entrepreneurs I made my mistakes along the way. I started my very first 'websites' in 2002 when I foolishly purchased some online Mall clone sites that I only had to load my affiliate links into, and I would make my fortune. *Ugh* I wasted 4 weeks of my time in my Christmas holidays trying to get approval for and load those damned affiliate links. And then I wasted forever promoting the so called 'websites' of this syndicate of clone websites. Result: Not even one single bloody sale... didn't make a dime! Massive waste of time and money. "Not happy Jan"
But fortunately I had in the meantime subscribed to an email written by a very ethical marketer, who happened to write a very good SBI review and I followed through... and the following Christmas of 2003 I began to build my first SBI self-help website. Bear in mind that I was totally clueless. No concept of how they worked, not html training, or how to use keywords... nothing, nada, zip. All I knew was that you could earn money with websites if you promoted products for sales commissions, and this new thing called Google Ads that was making people excited - LOL. But the tools I needed were all in my toolbox, and I worked it out as I went along and as I studied the comprehensive training videos and books. And out of the 24 million websites online back then, my site was in the top 1% OF THE WORLD WIDE WEB within months .... whodathunkit? I had a traditional business, but it was dependent on my skills and my physical work to make it profitable Every. Single. Day. Didn't matter how many staff I hired and trained, if I didn't make it happen, there was no money in the longterm. So I wanted an online business, that could make profits while I slept... or so the line goes. Well, I ended up building my website, then more niche websites, and then more sites for my friends, and then websites for clients, then delivered SEO services for the websites... and so on. Now in 2017 I'm retired and loving a relaxing and fun life... focusing on this ONE website, as I want to relax and play with a site that can have as many personalities as I want. Within this site I have created many mini-sites, and will continue to create more multiple personalities of niche content in it. You can almost do anything with SBI... Site Build It or Solo Build It has a set of inbuilt tools that are unbeaten by any other provider. I've tried them all over the years as part of SEO, and the only hosting I would ever use for a permanent online business is SBI. Not negotiable. You may do searches and fall onto pages with fake reviews written by affiliate marketers flogging MLM hosting, like Wealthy Affiliate... but guess what? They have no idea what they are writing about, they are just parroting the same fluff as everyone else in the MLM is told to write. Sad that they have to resort to deception like this, but I guess they are desperate to try and look better than the established services that have a successful track record. But SBI! did a head-to-head study to test those claims. In the name of total transparency, they show you how to do the exact same study and check it for yourself. Here is the 1st of the 3 posts that review Wealthy Affiliate success rates vs SBI!. The full set of results appear here, in the 3rd and final post. Those fake reviews have all kinds of ways of "fake-reviewing SBI!," but they never, ever compare success because SBI! has always provided tons of verifiable proof on their site. And they can't... they would if they could, obviously. Actually, one of the reasons that I wrote this page was not only to share my story with you, just in case you ever think about starting an online business. When I heard about all the fake reviews tearing down a product that I love, I wrote this page in support. And it upset me even more to think that others could be misled into a product where you have 1/33rd the chance of significant success and where the ethics of the operation are, in my opinion, questionable. Who hurts other people's dream, just to make a buck? That's not they type of people that I want to trust. 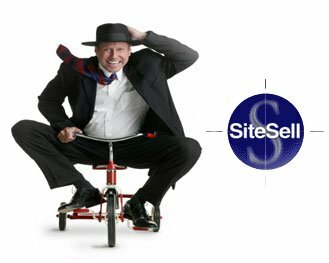 I built THIS site into a business with SBI / Site Build It. The Study shows how I would likely have failed without SBI! - its competitor had only 53 sites in the top category, less than 1/10th of SBI! 's results (even though the other company has 70% more sites!). SBI takes care of everything, which clears the way for me to focus on what I really know and love, helping you to learn how to do stuff for yourself, including how to build your own SUCCESSFUL and PROFITABLE website.